Sometimes you just need a part or two to make your carb work better, or just to make it correct. 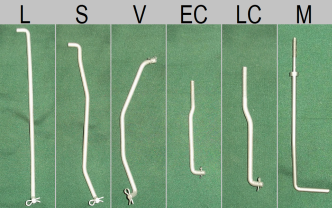 Below is a list of parts we sell for the carburetors we service. All parts are fabricated here in our shop, specifically for use on Autolites. Float bowl baffles for Autolite 4100 carburetors. These are brass and have detents like the stock ones, but are soldered and are .015" thick(stock are .010") These are much stronger and much less prone to breakage. Slosh Tubes for the Autolite 2100 and 4100, made of brass and notched like the originals. Heat Shield correct for 1957 Autolite 2100's and 4100's. A one year only part. Made of 20 gauge cold-rolled steel, as original. Comes with mounting screws, as pictured. Heat Shield correct for 1958 to early 1964 Autolite 2100's and 4100's. Fits 1958 and later Autolites as well as MotorCraft 2150's. Made of 20 gauge cold-rolled steel, as original. 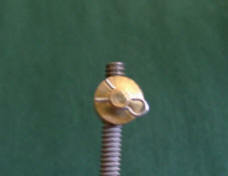 Comes with mounting screw, as pictured. 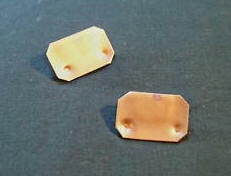 Heat Shield correct for late 1964 to mid-1969 Autolite 2100's and 4100's. Fits late 1964 and later Autolites as well as MotorCraft 2150's. Made of 20 gauge cold-rolled steel, as original. 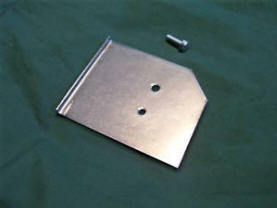 Comes with mounting screws, as pictured. 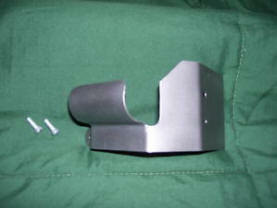 Secondary Vacuum Lever for Autolite 4100 carburetors, made of nylon as original. Fast Idle Lever for 1963 to Early-1964 Autolite 2100 and 4100 carburetors. Made of printed plastic with a more solid structure, and is much less prone to break compared to the original part. Fast Idle Lever for Late-1964 to 1975 Autolite 2100, 4100, and MotorCraft 2100 carburetors. Made of printed plastic. Manual Choke Nut set for 1963 to 1969 Autolite 2100 and 4100 carburetors with Manual choke, including Truck, Bronco, and HiPo 289 models. Made of printed plastic.